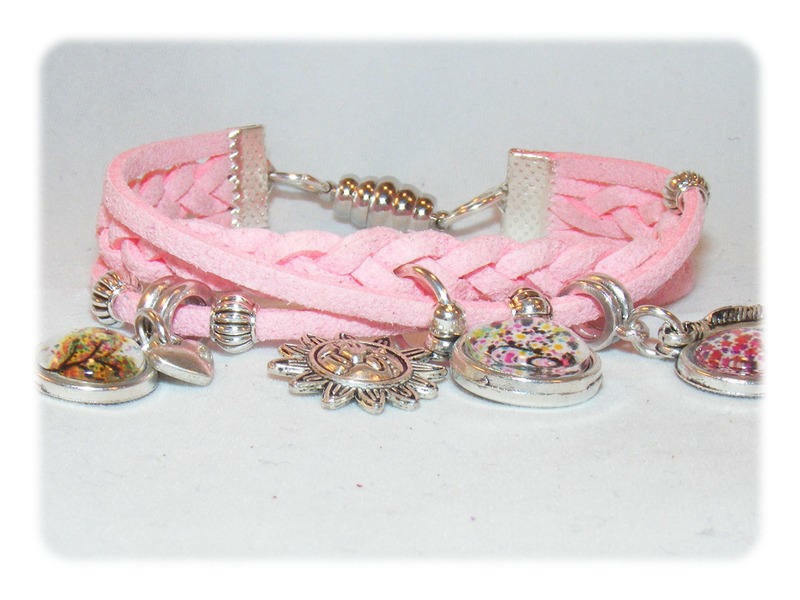 Original and unique jewelry made sliding glass cabochons charms and metal beads on dishes and pink suede braided strands. Practice the clasp is magnetic. All metal parts of this bracelet contain lead, nickel or cadmium or chrome or mercury, the European RoHs standard. 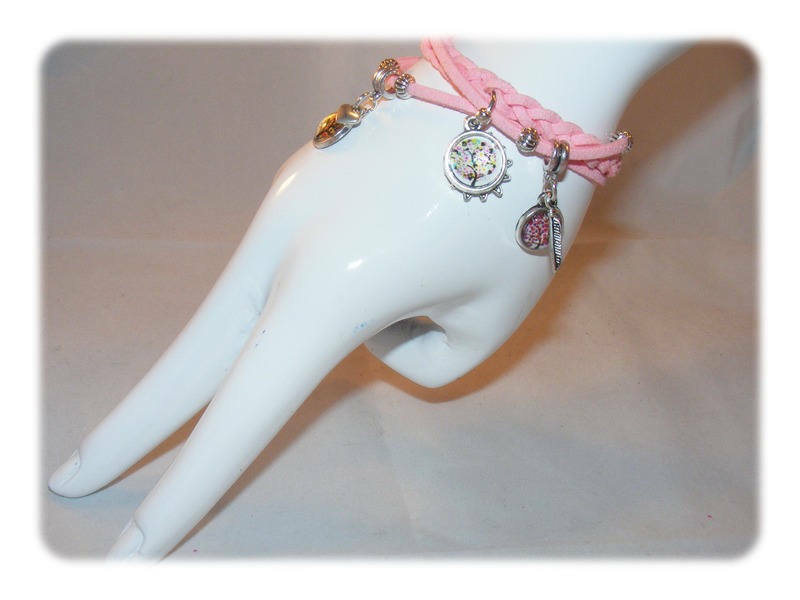 This bracelet will be delivered ready for gift giving in a pretty pouch. My label SRAJD No. 3784 (Self Representing Artist Jewelry designer) brings this jewel is unique, designed and made by me as all my creations. 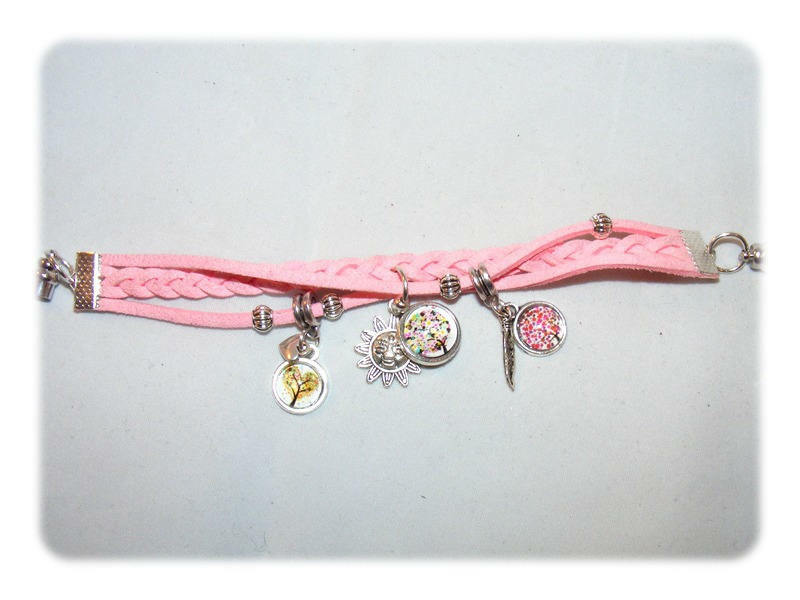 Find us on https://www.facebook.com/dollydoobijoux to follow us and see first creations.